(Newser) – A Tucson man has been arrested by the FBI and the Arizona Attorney General's Office for threatening to commit acts of terrorism on Arizona government buildings, reports the AP. 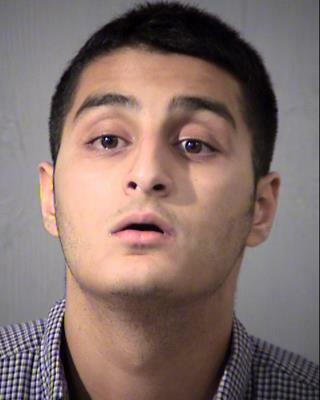 The Attorney General's Office says 18-year-old Mahin Khan appeared before a Phoenix judge Saturday morning. He was ordered held without bond in Maricopa County Jail. Khan faces two counts of conspiracy to commit terrorism and terrorism. The FBI must not have enough real terrorists to fight. They create fake plots and terrorists, bust them, then take the credit. Sure looks like a total retard. Don't worry, Obammy and the DemoRats have imported more of these Hillary voters to terrorize the USA. They know they will acquire guns and kill innocent people, then the DemoRats and the Lib media can rant about Gun control.